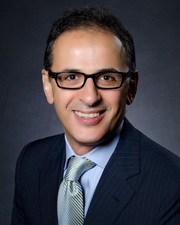 Dr. Maurice Khosh is is the Past President of the New York Facial Plastic Surgery Society and a founding member of the New York Head and Neck Institute. Dr. Khosh is a Fellow of the American College of Surgeon. He is certified diplomat of the American Board of Facial Plastic and Reconstructive Surgery and the American Board of Otolaryngology. Dr. Khosh is academically affiliated with the Columbia University College of Physicians and Surgeons as a Clinical Assistant Professor. He was the youngest recipient of the Maxwell Abramson Resident Teaching Award in 2001, as the Director of Facial Plastic Surgery Clinics at Columbia University Medical Center.